A significant chunk of India’s biggest power generation contract awarded by state-run NTPC Ltd which had hit the skids with the merger of thermal power businesses of Mitsubishi Heavy Industries Ltd (MHI) and Hitachi Ltd may be salvaged. A joint venture (JV) of BGR Energy Systems Ltd and Hitachi Power Europe GmbH was awarded a contract estimated at around Rs12,000 crore in 2012 to supply six supercritical boilers of 660 megawatt (MW) each by India’s largest power generation utility. In addition, the JV was also awarded a contract to supply two turbines of 800 MW size each. The supercritical equipment is less polluting and efficient. Post the merger, announced in November 2012, Hitachi Power Europe wants to outsource the activities of “qualified manufacturer” to Mitsubishi Hitachi Power Systems and Mitsubishi Hitachi Power Systems Europe GmbH. NTPC was opposed to the idea and had even requested India’s power ministry to take up the issue with the ministry of external affairs (MEA) seeking intervention of the Japanese government. “A solution has now emerged with the rights for all Indian contracts residing with Hitachi. We want to make it a legally sustainable contract,” said a senior NTPC executive requesting anonymity. The JV was awarded the work at utility’s projects such as Solapur in Maharashtra, Meja in Uttar Pradesh and Lara in Chhattisgarh. According to the terms of the merger, the assets, manpower, technology support along with intellectual property have shifted to the merged entity Mitsubishi Hitachi Power Systems Ltd (MHPS). While MHI holds a 65% stake in MHPS, the balance is held by Hitachi. NTPC has a present installed capacity of 46,653 MW and a 16% share in the country’s total installed capacity of 288,665 MW. The utility plans to have projects with a total capacity of 128,000 MW by 2032. Queries emailed to the spokespersons of NTPC, MHI, BGR Energy Systems, Japanese embassy in New Delhi, and India’s ministry of power and MEA on 6 April remained unanswered. “We do not respond to market speculation,” a Hitachi Power business spokesperson said in an emailed response. “NTPC should critically examine the changed corporate structure of the new entity and see if it still meets the earlier technical criteria set out. 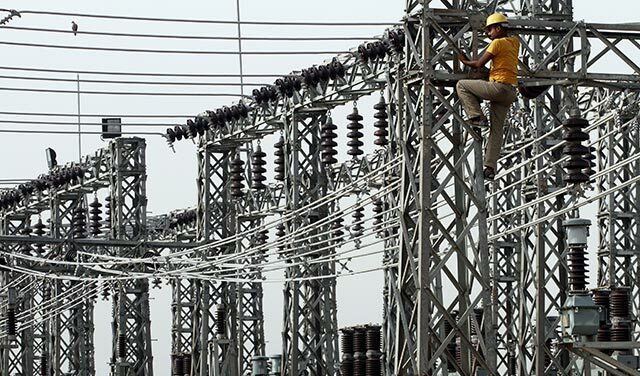 Since the contract has a history of legal tangles, an appropriate legal view should be taken,” said Sambitosh Mohapatra, partner-power and utilities, PricewaterhouseCoopers Pvt. Ltd.
Ansaldo Caldaie Boilers India Pvt. Ltd, the Indian unit of Italy’s Ansaldo Caldaie SpA, had thrown a legal challenge to NTPC’s bid process in 2011 after it was technically disqualified. The case reached the Supreme Court, which ruled in NTPC’s favour in 2012.